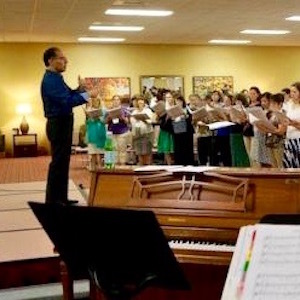 The Department of Sacred Music is thrilled to announce the first Sacred Music Institute of 2019, "East Meets West," being held from February 15-17. Graciously hosted by Ss. Constantine & Helen Orthodox Church in Carrollton (Dallas), Texas, this year's Institute will be within close proximity to six Antiochian parishes. Keeping with our theme, for the first time we will offer instruction in Western-Rite chant and a Western Rite Vespers, in addition to Byzantine chant, conducting, vocal technique, and the Typikon. Our keynote speaker, His Grace Bishop John of the Diocese of Worcester will be gracing us with his presence, and offering some thoughts on the diversity of the Antiochian musical tradition. Register before January 15, 2019​ for the best conference and hotel rates. Book your hotel at the introductory price of $104/night (but only until December 15, 2018). Book your group rate for Antiochian Orthodox Christian Archdiocese of North America.